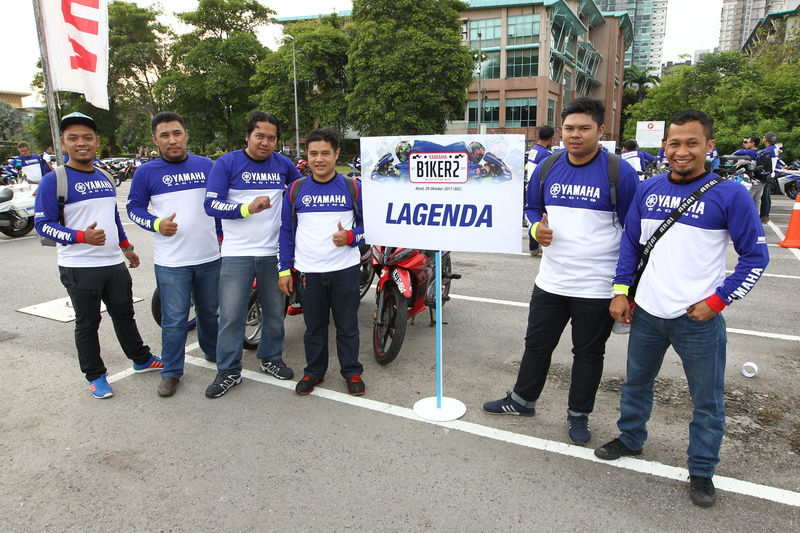 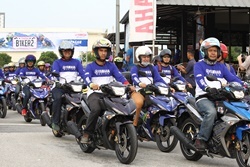 Cyberjaya, 29th October 2017 – In conjunction with the Shell Malaysia Motorcycle Grand Prix, Hong Leong Yamaha Motor Sdn Bhd (“HLYM”) organized the 2017 Yamaha Bikerz Moto GP Riding Convoy. 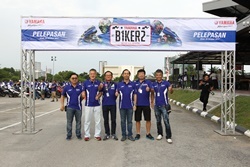 The ride was flagged-off by Dato’ Jim Khor, Managing Director of HLYM together with its General Manager for Sales, Mr Koh Eng Chan. 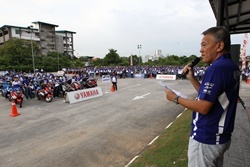 This was the largest parade of Yamaha Motorcycles in Malaysia and nearly 1150 bikers from all over Peninsular Malaysia gathered at the flag-off point at TSI Sports Arena, Cyberjaya. 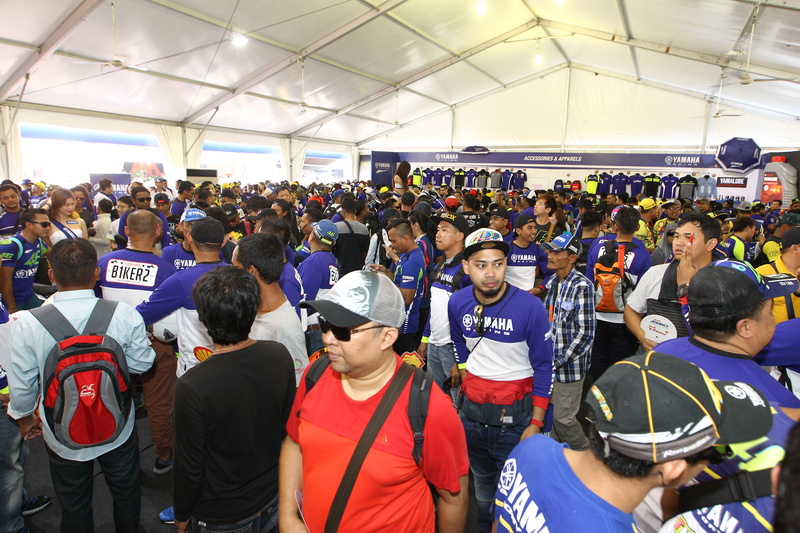 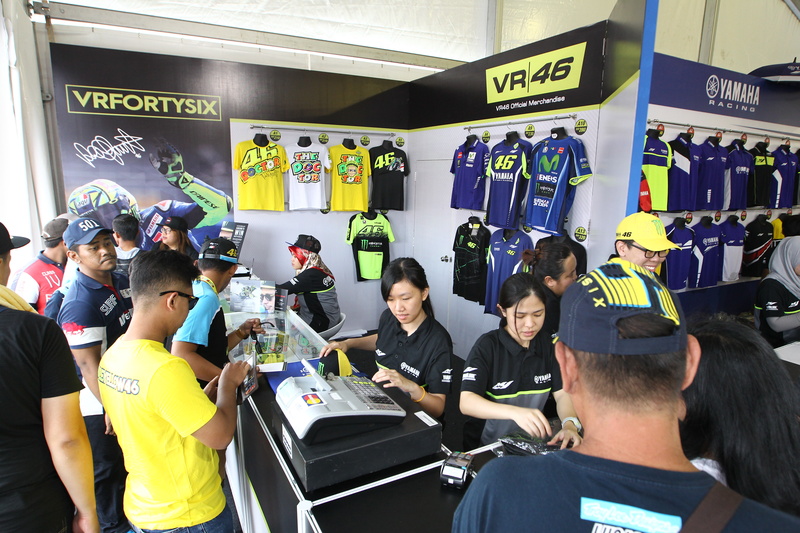 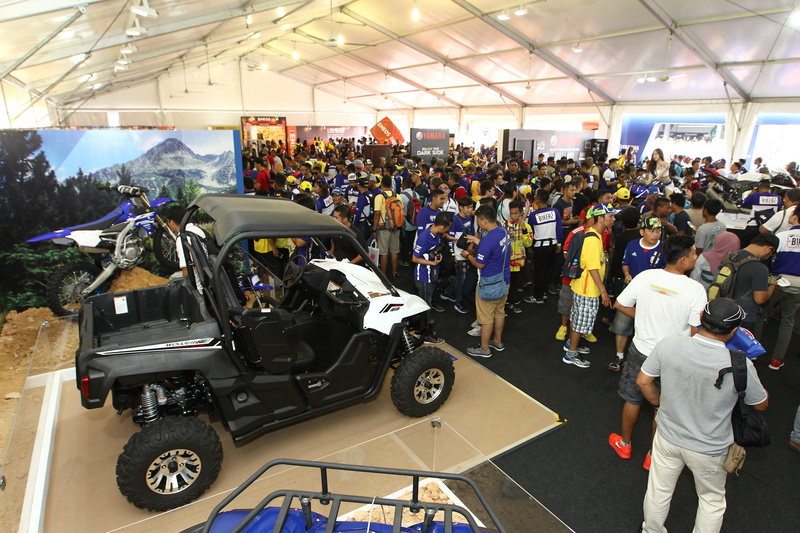 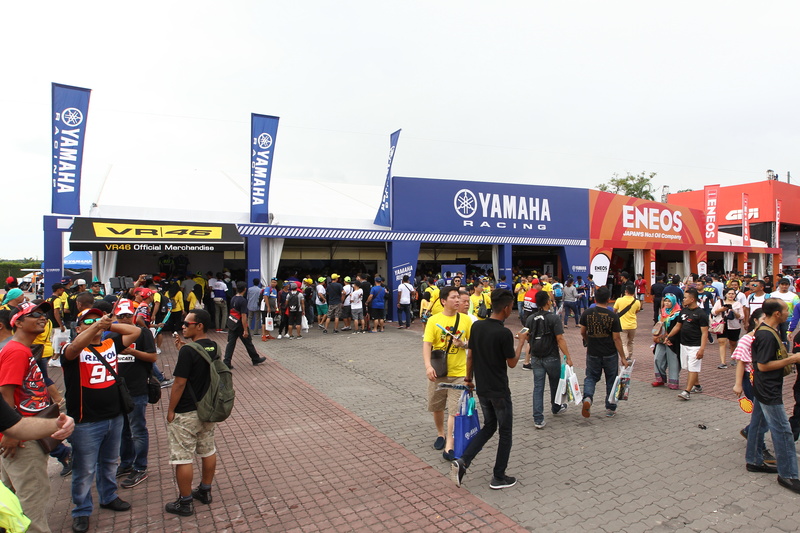 As early as 6.30am, the area was filled with a sea of highly spirited Yamaha bikers donning the trademark Yamaha Racing blue bodywear. 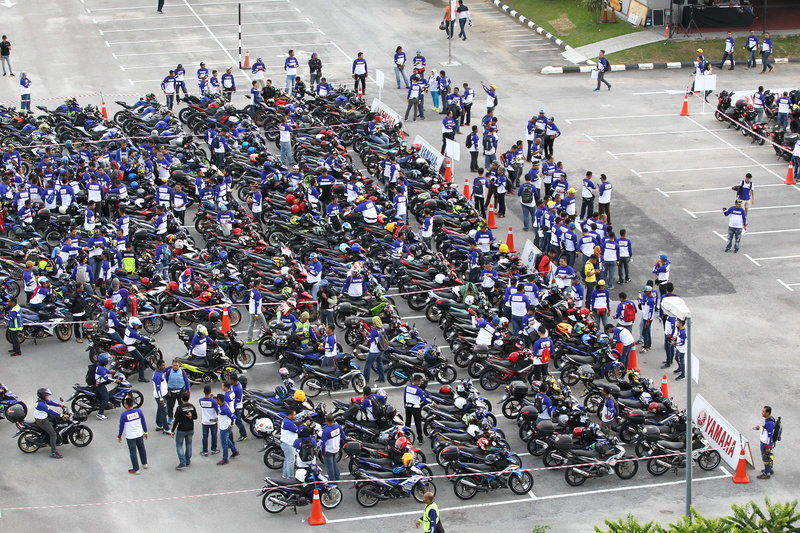 This gathering is one of the biggest mixed-model rides in HLYM’s history, comprising of automatic, moped and street models. 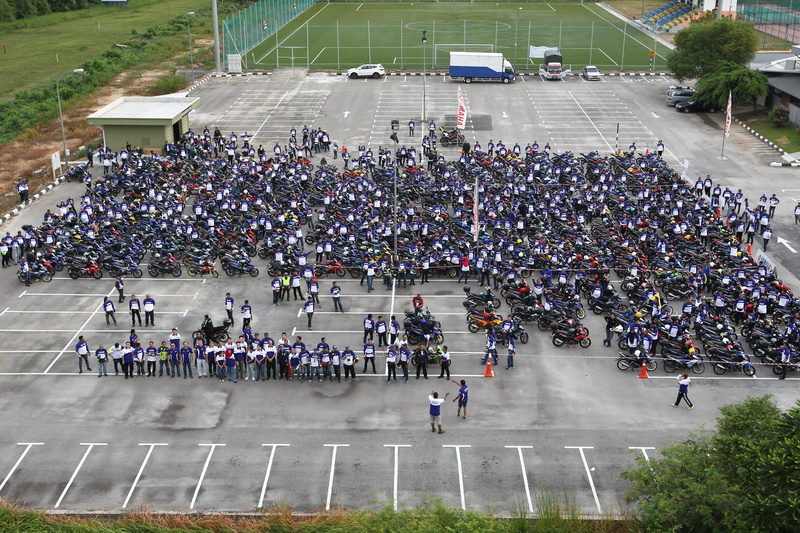 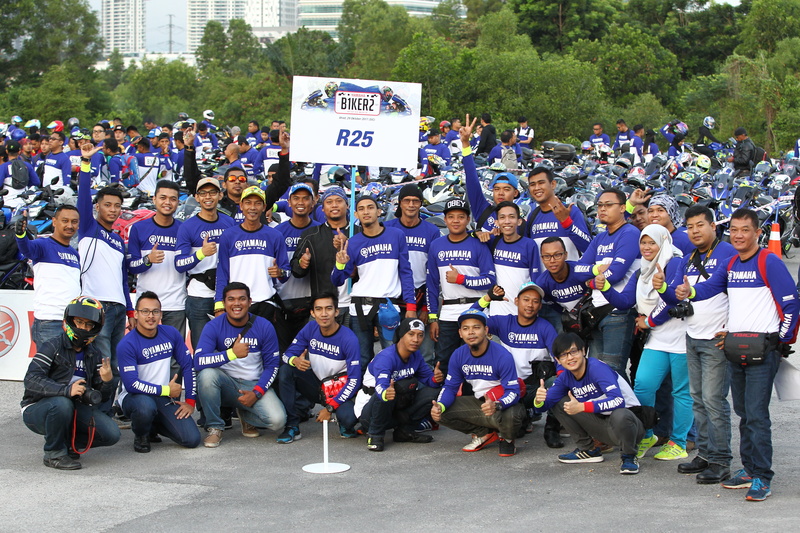 The biggest group hailed from Klang Valley with a total of 368 bikers, followed by 211 from the North and a total of 307 from the South and East Coast of Peninsular Malaysia. 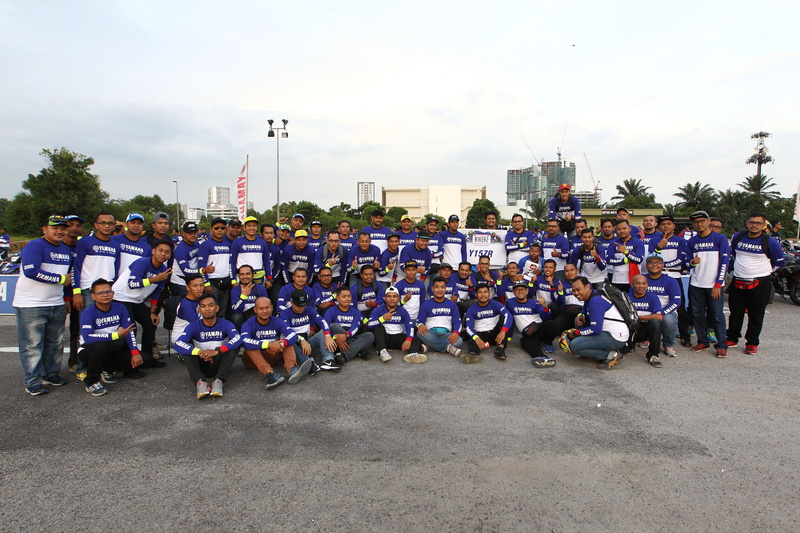 For the past two decades, HLYM has proudly organised riding convoys to witness the Shell Malaysia Motorcycle Grand Prix races. 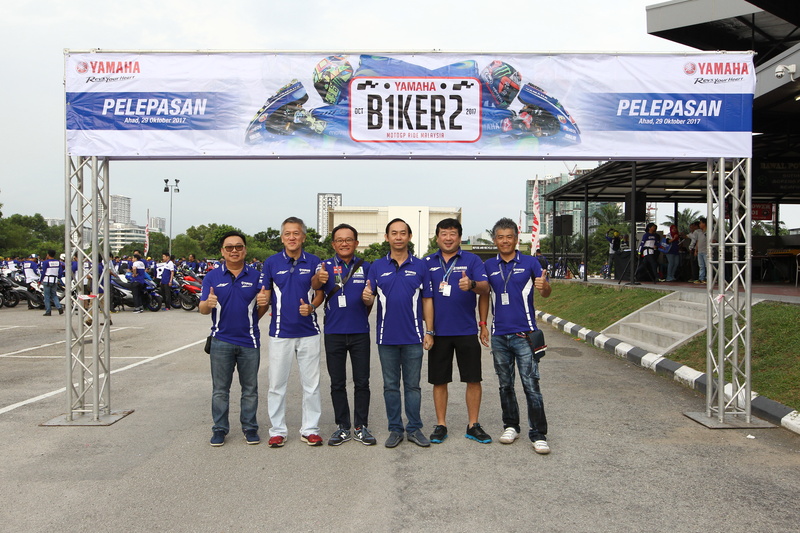 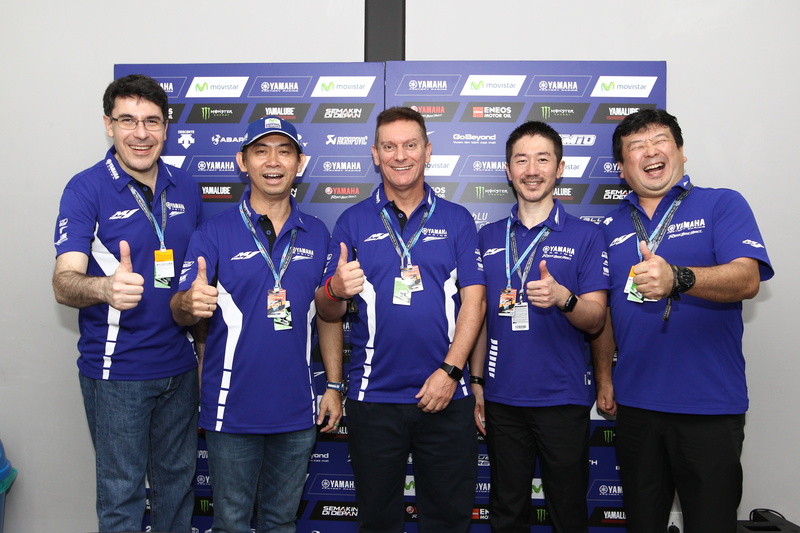 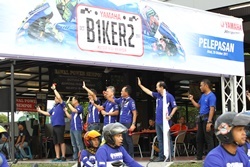 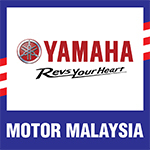 These activities have continued to provide an exciting opportunity for all bikers to experience the pleasures of riding a Yamaha bike safely, as well as the excitement of watching premier motorcycle racing events in Malaysia. 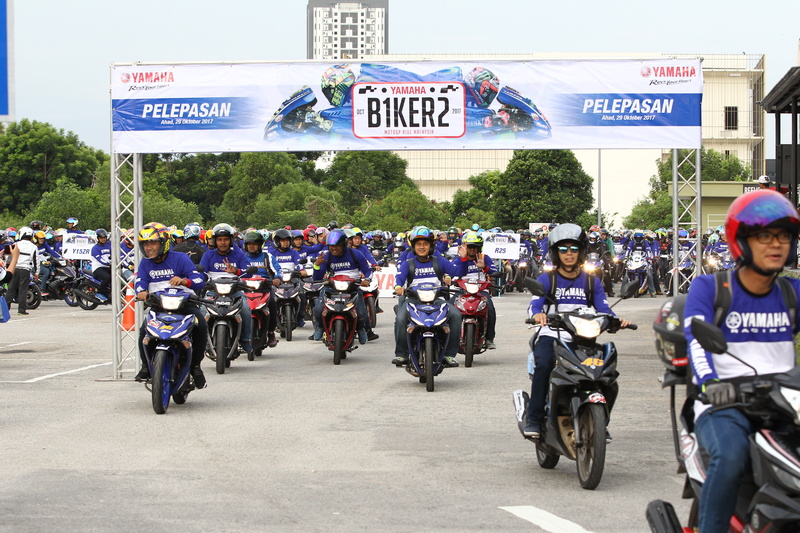 It also provides an avenue for avid bikers to meet new friends within the biking fraternity. 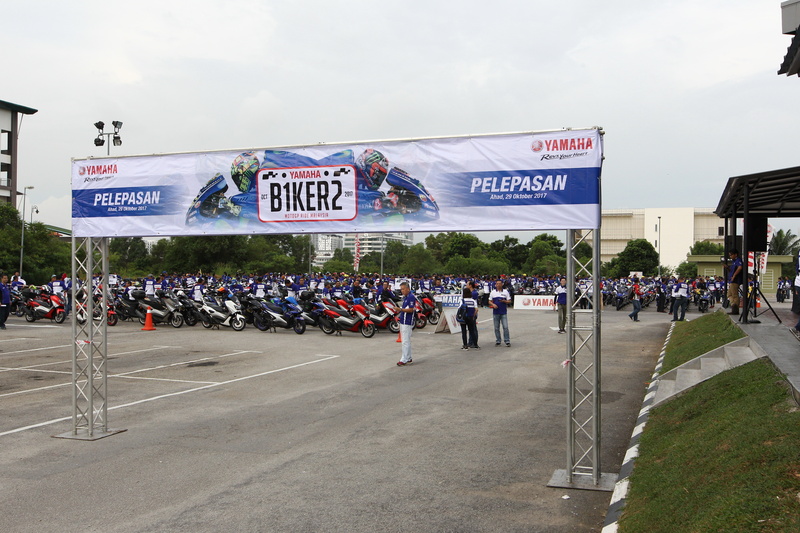 In support of this event, Polis DiRaja Malaysia (PDRM) and riding group ‘Marshalls’ were present to ensure the safety of riders. 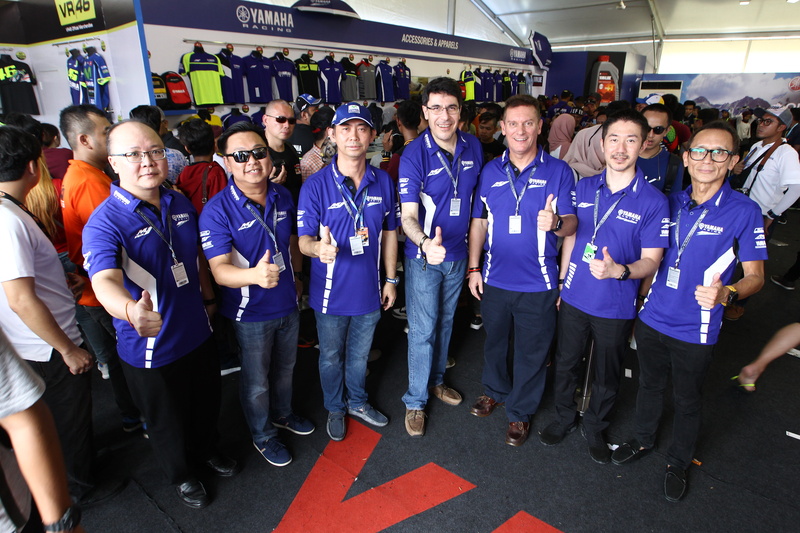 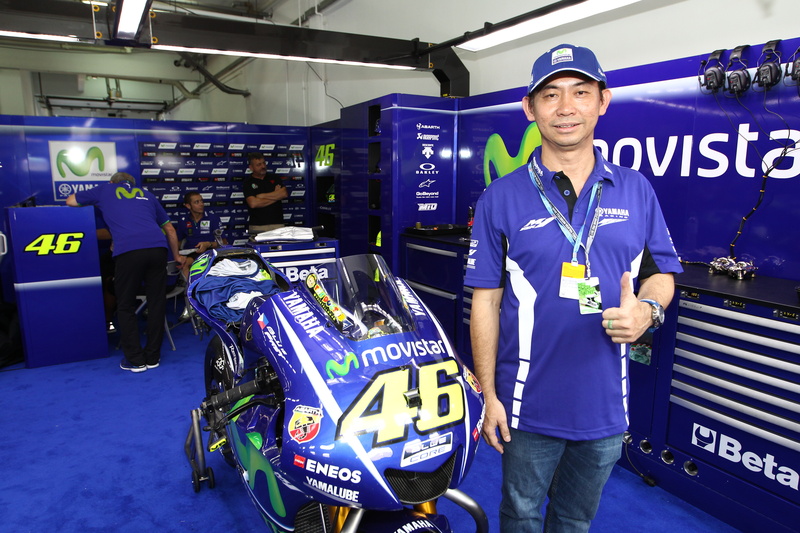 All participants were provided with Main Grand Stand tickets, food vouchers and a specially prepared Yamaha Racing blue t-shirt.